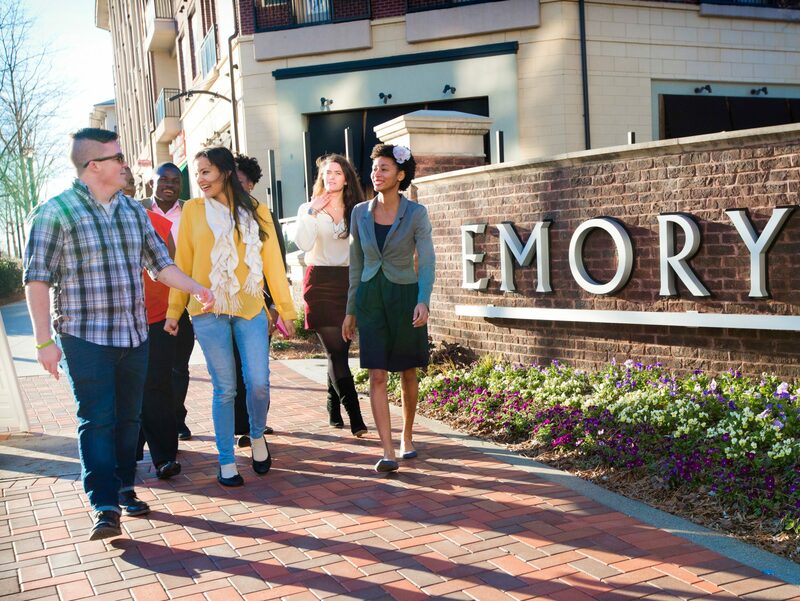 You’ve been accepted to Emory, you’ve mentally or financially (or both!) committed to Rollins, and now the reality that you have to find somewhere to live in four months has settled in. For some of you, the process of finding housing and roommates may seem daunting and stressful, especially if you’ll be states or countries away from Atlanta until August. Let me just say – I (along with most other Rollins students) understand what that’s like, and you will find a place to live! When I got accepted to Emory last February, I started looking for housing immediately. At my undergraduate university, leases needed to be signed the October prior to the school year you hoped to live there, so I was extremely worried I was late to the game and wouldn’t find a place to live within my price range and with the amenities I was looking for. If this is how you feel, you can take a deep breath! I found that in February and March, most apartment complexes still didn’t know what units they would or wouldn’t have available come August. I attended Visit Emory at the end of March and talked to a number of current students that shared they didn’t sign their leases until May, June, or July and moved in around mid-August. It was a huge relief to me to know that I still had time! I knew I was going to need roommates to afford living in the Atlanta area, so I found my way to Emory’s Off Campus Housing portal. There, I was able to make a roommate profile and search for roommates, as well as look through listings available near campus. My roommates – two nursing students – found my profile and messaged me that they were looking for a third roommate. I know a number of Rollins students find their roommates at Visit Emory, but a good number also find theirs through the RSPH Roommates Facebook and their Rollins Class pages. My roommates and I weren’t sure exactly which Atlanta neighborhood we wanted to live in, but one of my roommates found a condo available by driving around near Emory and walking into complex leasing offices! We ended up signing our lease in May, and our landlord even said we had signed pretty early if we knew we weren’t moving in until August. Either way, it was a relief to know where I would be living and who I would be living with. In addition to price and amenities, something else many students consider is how they’ll commute to campus. Depending on your desired form of transportation to school, this may influence which neighborhood you choose to live in. Many students tend to utilize the Emory Cliff Shuttle and public transportation (MARTA), walk, bike, and drive to school. For those of you that already have housing secured or find your housing early on, enjoy your time exploring places around Atlanta you may want to visit! For those that don’t, you can rest assured that there’s still plenty of time to find a place to live, and that there are plenty of different housing options available for you! A pro-tip I’ve heard from a number of current students: if you’re able to visit or contact apartment complexes over Memorial Day Weekend at the end of May, many of them run specials with rent at discounted prices! Happy house-hunting; we can’t wait to meet you in August!